Boy Scout Troop 67 Scoutmaster Terry Crook, spoke to the Monticello Lions Club at their bi-weekly meeting and luncheon at Western Sizlin Restaurant, Thursday, February 6, 2014. Mr. Crook told the group that membership in the Boy Scouts is open to boys, ages 11 through 17, who take an oath to honor their Family, Country, and Belief in God. He continued by giving a report of recent and upcoming Troop activities including the numerous outdoor activities, campouts, and hikes the Troop participates in; Noting that the emphasis on these activities is leadership and volunteerism. The group then viewed a highlight video of some of the Troop's recent activities. At the conclusion of the presentation, the Lions Club presented Boy Scout Troop 67 with a check for $100 for appreciation and annual support from the Monticello Lions Club. 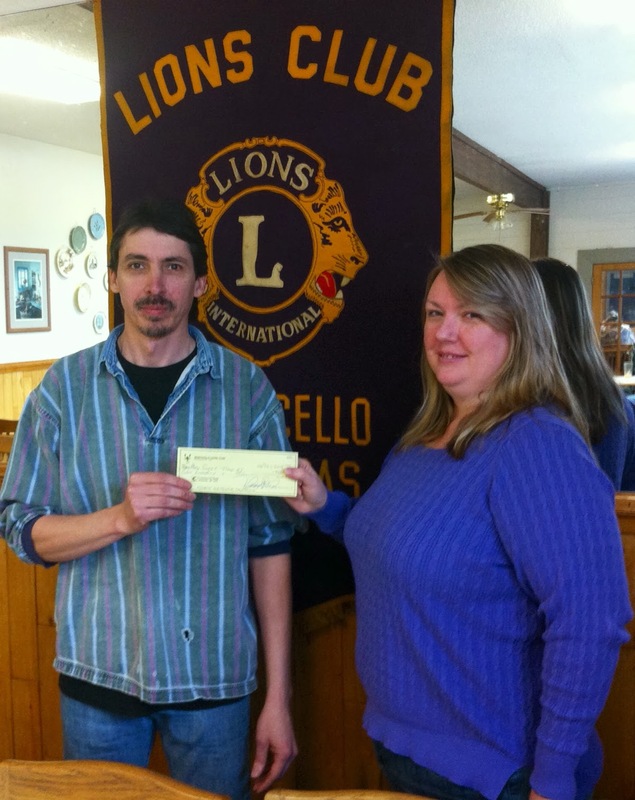 Thank You, to the Monticello Lions Club for their continued support of the Boy Scouts.